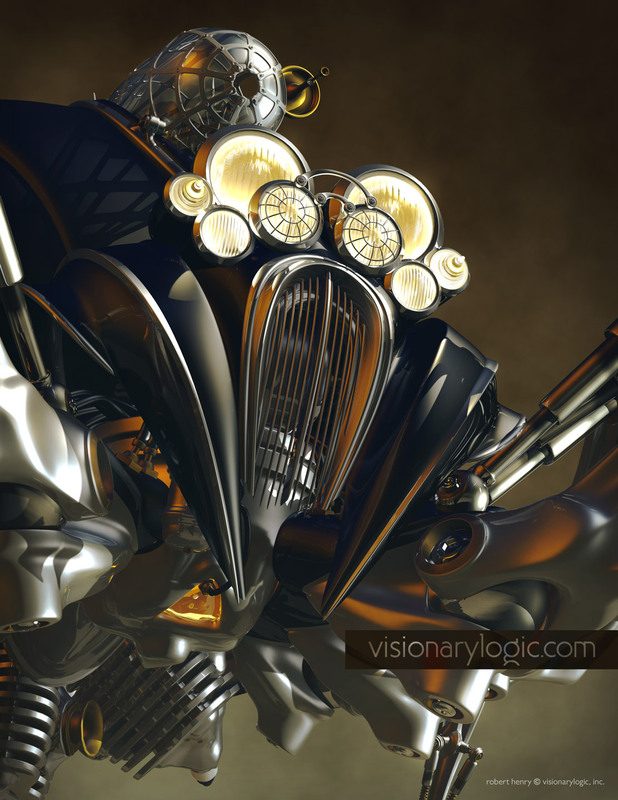 3D CHARACTER – Concept and 3D Model created for Luxology Modo. A retro future spider vehicle that won second place in the Luxology / SubdivisionModeling.com Hellfire Spider Competition. The criteria was to build an articulate model, anatomically proportional to the hellfire widow spider. We chose to create an over the top, tongue-in-cheek tribute to every 1950’s sci-fi futurist “War of the Worlds” vision we could pack in a single model. 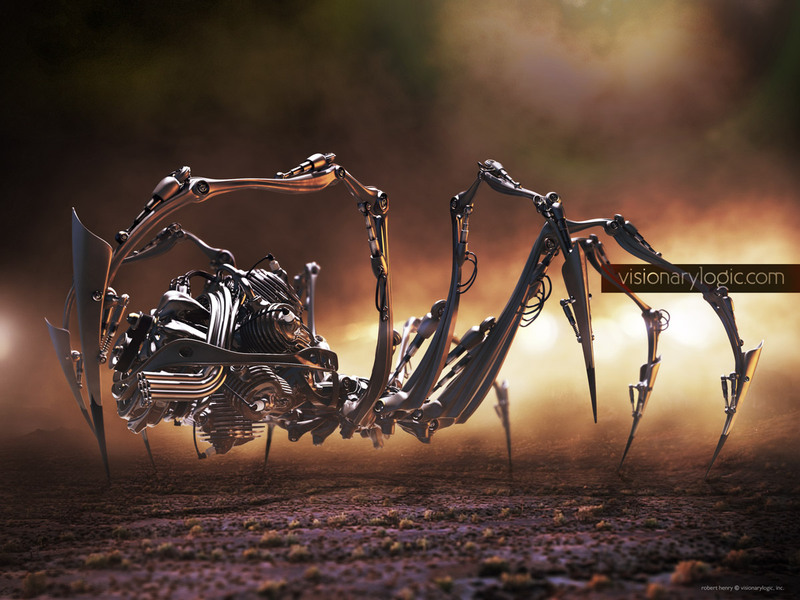 Luxology featured the spider in product promotions, announcements and advertising on CGSociety, CGNews and VFXTalk. Our work has also been promoted in articles, podcasts and personal interviews on Luxology.com. 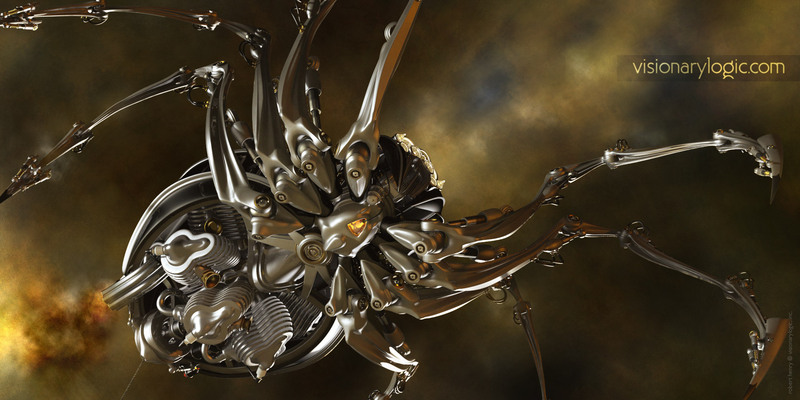 The spider has also been featured on the Behance Digital Art Served Curated Gallery. 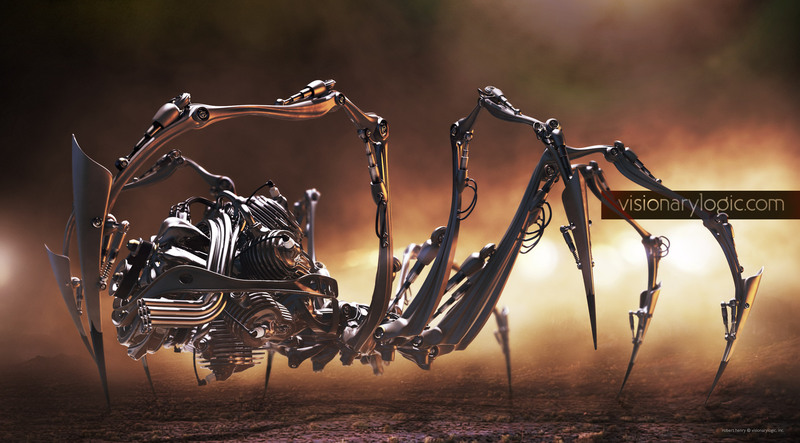 3D Artist Magazine featured the spider in an article in issue 43 titled “Masterpiece” where they interviewed Robert profiling his methodology, inspiration and process for the spider character.